Industrial Air Power stocks a complete line of air compressor lubricants including petroleum, semi-synthetic, full synthetic and food grade oils. Our lubricants are specially formulated to be 100% compatible with the OEM lubricants they are replacing. We carry a complete line of food grade lubricants which are USDA & Kosher approved. 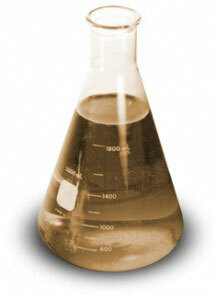 All of our lubricants include free oil analysis for the life of the oil. The analysis kit and instructions are included with every oil shipment. Once we receive your oil sample, the laboratory conducts a thorough analysis of your sample to provide a detailed report showing 22 different elements including wear metals and additives, current viscosity, H2O content, total acid number and a maintenance recommendation. This analysis is crucial to obtaining maximum service life from your lubricant as well as monitoring your compressor for premature failure. Best of all, the entire program is FREE for the life of the oil!